Bear spotting, in general, is an extremely exciting and challenging activity, especially for people who are not willing to spend days in a tent and eating camping food. Seeing any type of a bear in its natural habitat is an experience that is hard to compare to anything else. It’s overwhelming, dangerous, beautiful, and breathtaking, all at the same time. If you want to see a bear in the wilderness, then you are a lucky person to be in the US. The country is abundant in wildlife spotting locations that you shouldn’t miss if the big, furry beasts are your favorite animals. Here are some of the best bear watching spots across the States. Tongass National Forest in Alaska is one of the best places in the world where you can see bears in the wilderness as they hunt salmon. 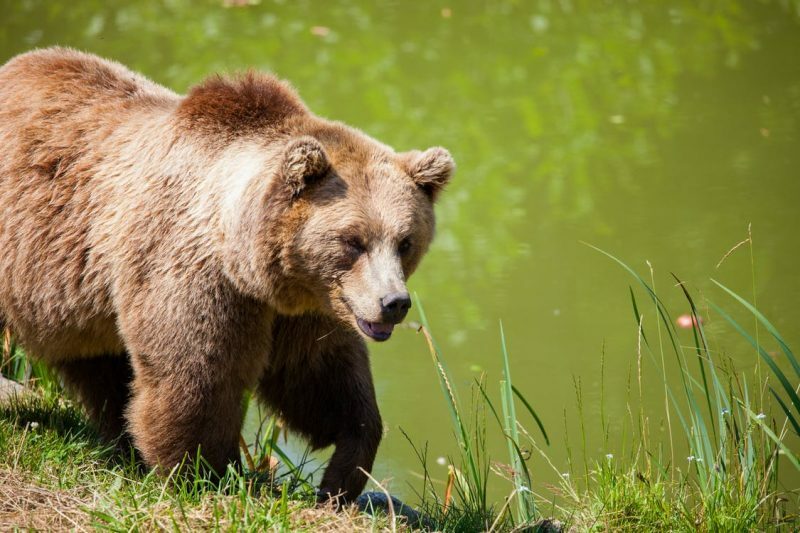 Anan Creek offers a bear viewing platform where people can take photographs and get up close to these majestic animals. If planning on going there, you need to make arrangements in advance and apply for a permit, with the season starting from February 1st. For all of you who want to photograph grizzly bears in the wild, Katmai National Park and Preserve is the number one place to visit. Reaching this remote location is not an easy thing to do, though, because it can’t be accessed by car. Therefore, you need to get ready for a walking adventure where you’ll get to see wild grizzlies from very close. Some of the largest grizzlies in the world have been spotted in Katmai while they were fishing with their cubs between June and September. People from all around the world are coming to Kodiak Island in hope of seeing the famous Kodiak brown bear in its natural habitat. 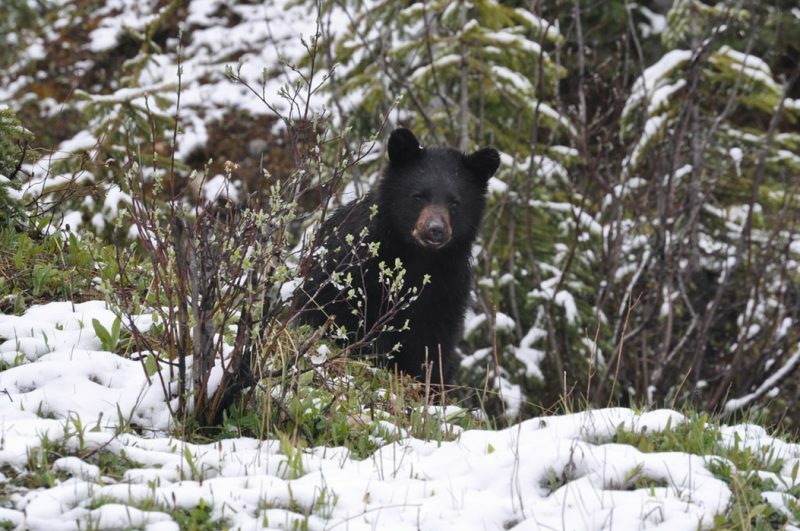 Seeing bears along the road system is uncommon and the refuge does not offer tours. For the safety of both you and the bears, it’s recommended to take a guided bear viewing option off the road system. 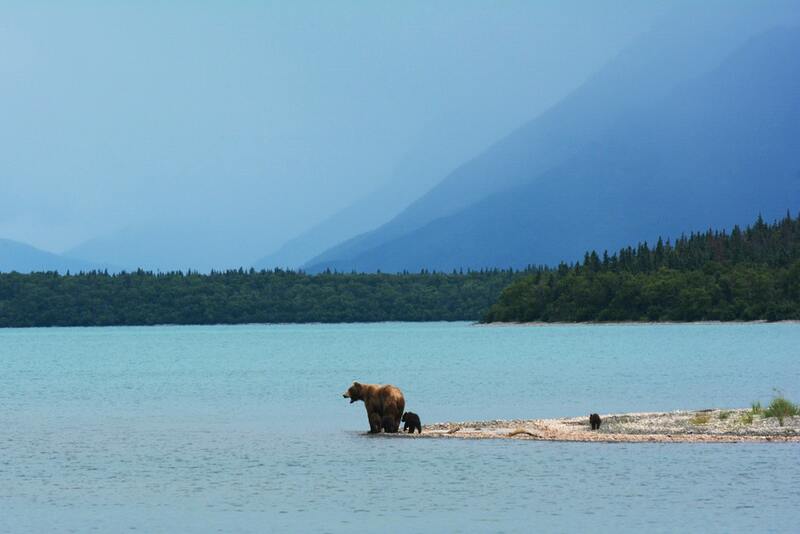 Popular locations for guided bear spotting are Frazer Lake, the south end of the refuge, and the Katmai coast. Yosemite’s black bear is the park’s largest animal with an average weight of 350 pounds. The largest black bear in Yosemite was 690 pounds. Yosemite is an attractive tourist destination where people go to enjoy the great outdoors, go hiking, camping, backpacking, and wildlife spotting. The black bears are omnivorous and they will never attack you if you keep a safe distance. Do you want to see the largest population of black bears on the east coast? If yes, then visit the Alligator River National Wildlife Refuge and enjoy the bear views from the safety of your car. 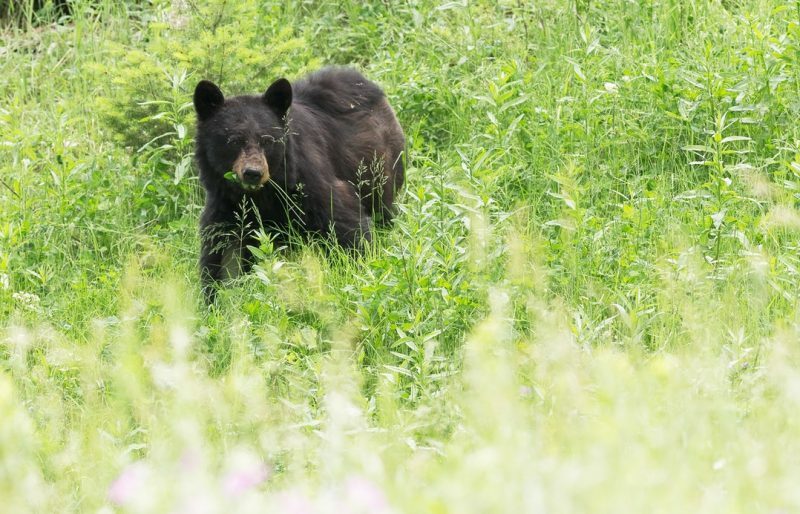 Murphy Peterson Wildlife Drive is the perfect place to see black bears from your vehicle or take the refuge tram for a guided tour, which is available weekly in summer and monthly during the winter months. Yellowstone is one of America’s best bear spotting locations. Grizzly or black bear, you choose which one you want to chase around the park’s endless landscapes. Before visiting Yellowstone, inform yourself about bear safety and what you should and should not do if you decide to go hiking or camping in the park. No matter which place you choose for bear spotting, don’t forget to be careful with the environment around you and respect the bears’ home. Stay safe and good luck!